The HyperX division of Kingston Technology has announced the HyperX Cloud Revolver, which is the latest addition to the Cloud headset range. The new headset has been designed from the ground up for gamers and music fans – the device offers a studio grade sound stage with 50 mm directional drivers for wider depth and width and for improved audio precision in first-person shooters and open environment games. In addition to this the new Revolver headset has tuned drivers, larger ear cups and exhaust vents that allow the player to hear enemies more clearly from further away. The headset uses HyperX’s red memory foam and premium leatherette for excellent comfort while wearing it. The Revolver uses a steel frame suspension, which provides long-lasting durability and features a detachable noise-cancelling microphone for crisp, clean and clear voice quality and reduced background voice. The package also includes a 2 mm audio control box extension. 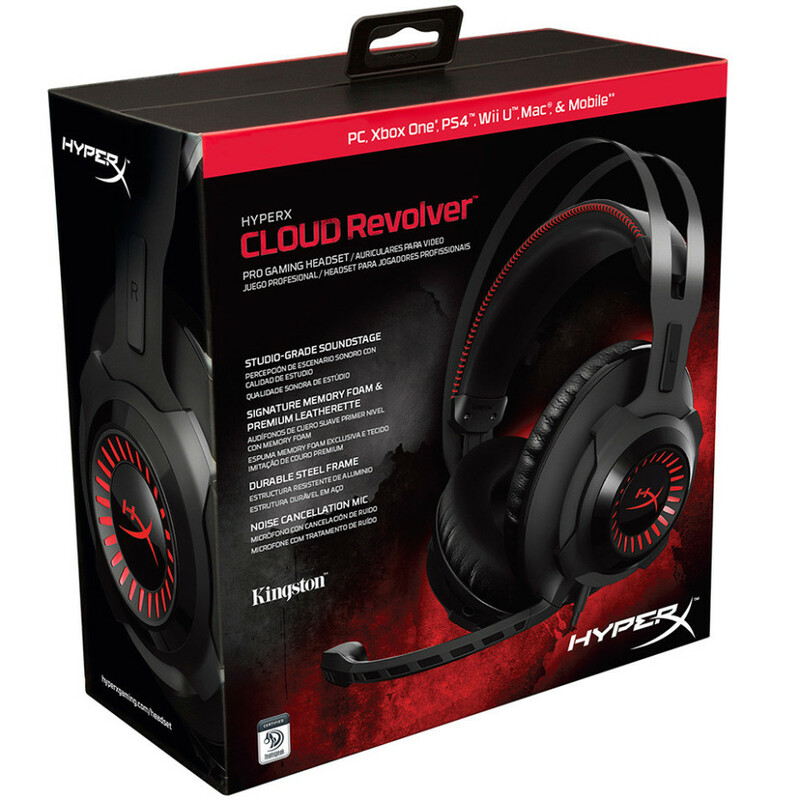 The new HyperX Cloud Revolver will be in stores on May 9 but you can pre-order yours starting on April 1 this year. There’s no information on how much the new headset costs but the HyperX Cloud Revolver is backed by a two-year warranty.